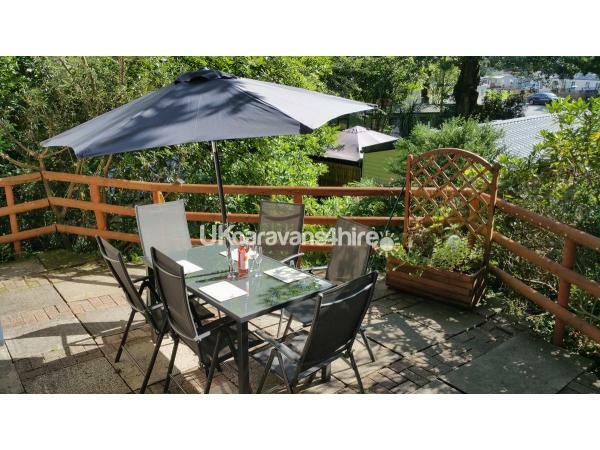 Additional Info: Garden table and 6 reclining chairs plus 2 sun loungers. Picnic blankets, picnic set selection of DVDs small library of books board games. 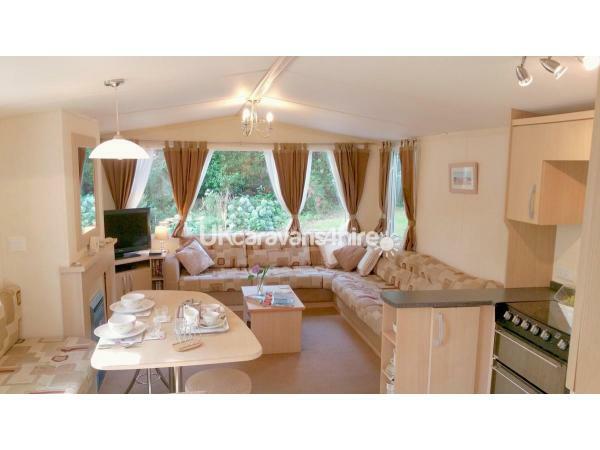 As caravan owners, we could not ask to be located in a better place than Aberdunant Hall and holiday park! If you love the country side and walking, no where is too inaccessible. You can walk in the mountains in the morning and sun bathe on a secluded beach in the afternoon. An ideal base for walking, climbing or sight seeing. It is possible to visit somewhere different everyday without driving for hours. 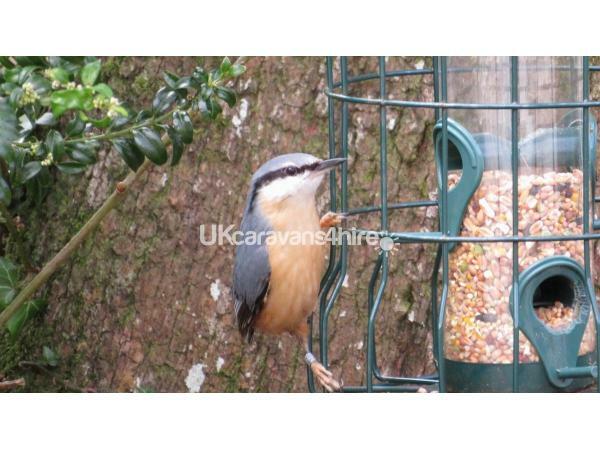 Our plot is lovely, secluded and relaxing- a real haven for the birds and wild life. We have nice outdoor furniture. The park itself has beautiful marked walks with fantastic waterfalls which suit young and old alike. Every season here is different. The park only closes for one month per year and there is something to do and see all year round. The park hotel is a few minutes walk away and serves very good food and drink if you want it. There is a nice play area for the children- great for families. There is also a designated green open space for the children to play ball games. Spoilt for choice with supermarkets: Tesco/ Lidl/Aldi all a very short drive away. Our favourite places to visit are Beddgelert with its famous river walk; Betys-Y-Coed, Abersoch, Criccieth, Llandudno to mention a few. 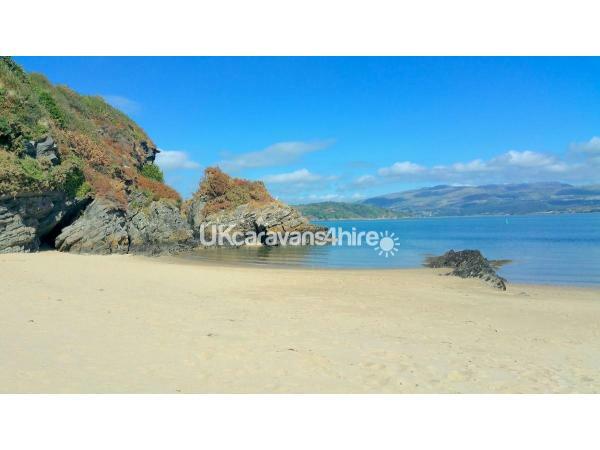 Black Rock sands is a 10 minute car drive away and you can park on the beach. Portmeirion is a 13 minute drive away and hosts the famous Festival No 6 in early September. Another great day out is ZipForest which is a 30 minute drive from the park. The various paths up to the summit of Snowdon are also within easy reach of the park. The park has a warden call out service which we have found very reassuring and helpful. Wifi is available as pay as you go. 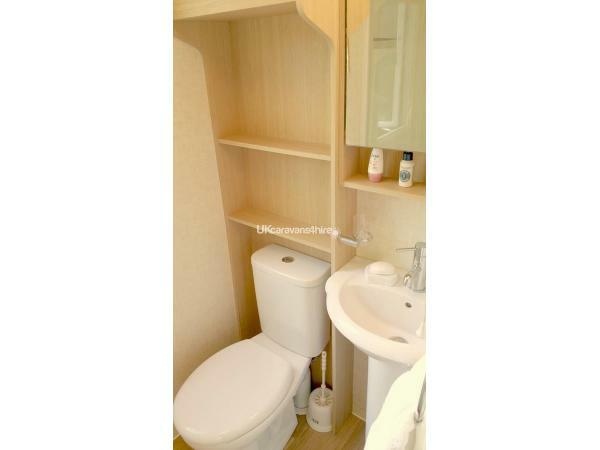 Our double bedroom has plenty of storage space and an ensuite with separate toilet and handbasin. 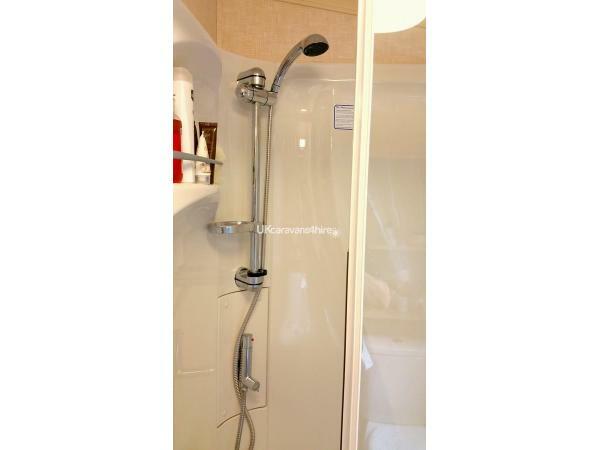 In addition, there is a full shower room with toilet and handbasin, and again useful storage. The 2nd bedroom has twin singles which can be made up as a double. It also has plenty of storage. 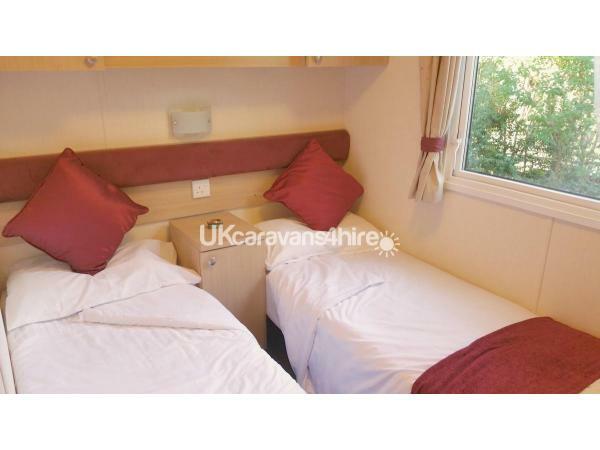 The dining area can seat up to 6 people and the lounge area has a large corner sofa with a TV and DVD player. 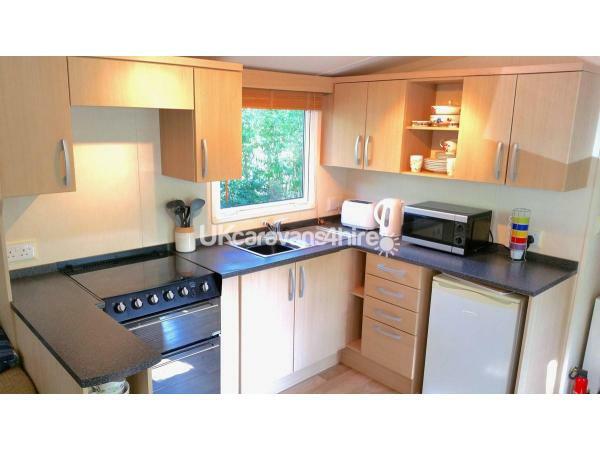 The kitchen is very well equipped with a full size gas cooker, a microwave and full size fridge. We have chosen not to provide linen but we have duvets and pillows for up to 6 people. Please provide your own linen. 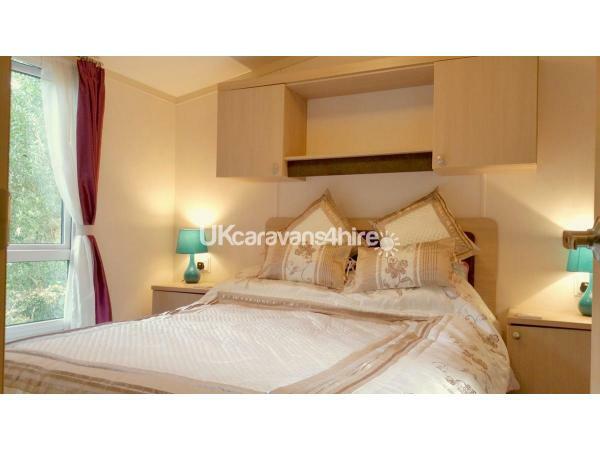 The caravan has radiators in all rooms which make it cosy all year round. Additional Info: The park itself has a fully equipped laundry - a reception building where there are friendly staff on hand to help visitors. A warden who can be contacted via a mobile who is very helpful. The hotel on the park also has accommodation, a heated patio area and a restaurant which serves breakfast, lunch and dinner. At weekends, it is advisable to book. On some evenings, there is lively entertainment in the hotel and special events advertised through out the year. This was our second visit here and we enjoyed it even more as this time we had fantastic weather as well. Went to different beaches each day which was great and also loved coming back to the caravan and just relaxing. Also had a meal this time at the hotel’s restaurant which was delicious. Dawn has always been a pleasure to deal with and I would not hesitate to recommend staying here. Thank you Linda for the positive feedback. We really enjoy hosting you and your family as you appreciate the area so much. We look forward to welcoming you again in the future. Beautiful caravan in the perfect setting. Fabulous communication from the owners, would highly recommend! Had a lovely weekend in this well equipped cosy caravan. 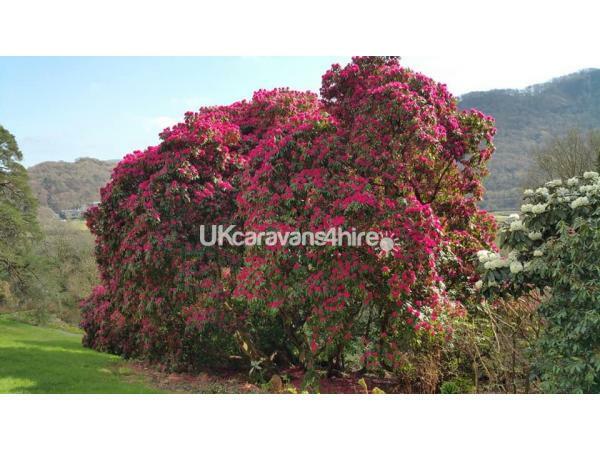 Situated in a secluded spot in beautiful grounds. A perfect base for visiting various villages and beaches, which we did. Planning on staying again, in fact I could happily live there :-). Dawn was great to deal with, very friendly and helpful. Would definitely recommend. Thank you for your feedback- we’re very glad you had a nice time - please tell all your friends ! We’d love to host you again! 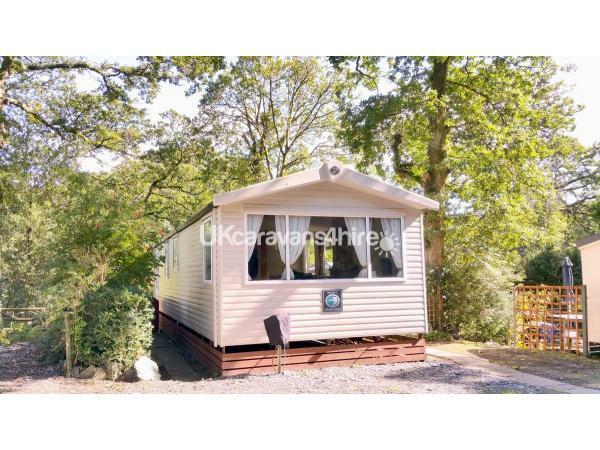 Superb caravan and holiday park located in the Snowdonia national park .Clean and well equipped caravan they even provided a flask for tea which was very useful when out and about on the walks.The caravan is very close to Snowdon 15 minute drive away,with the secound most visited beauty spot the Glaslyn River walk a short 5 minute drive away.There are lots of beautiful walks right outside the caravan on the park itself with some nice waterfalls and woodland treks.There is lots to do and see from beach to railways museums shops restaurants all close by.With a great hotel on the site serving lovely food.I can highly recommended this caravan and site.We will be back. Lovely static home at in a beautiful park with lots of places to visit. Planning to visit in Autumn. Thanks for this. Hope you’ll book soon? 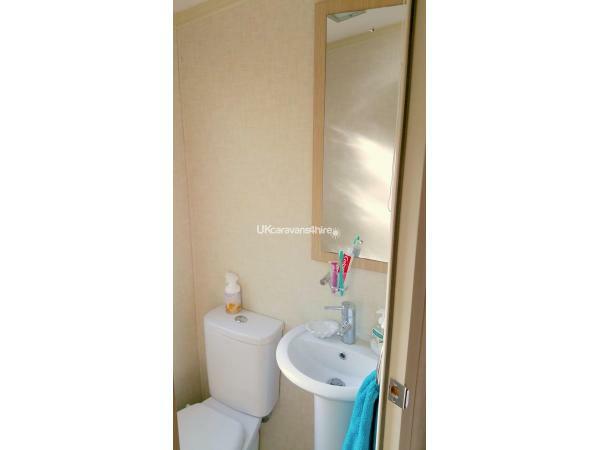 Lovely clean caravan. Very comfortable and well equipped. Beautiful site within easy reach of scenic walks and coastline. Would highly recommend to anyone travelling to north wales! Very cosy very clean and has great facilities .. very impressive. Set among mature trees on a peaceful and beautiful wooded hillside this holiday let was clean, comfortable, well maintained and well equipped and was an ideal base for us to explore the stunning Snowdonia National Park and nearby beaches & coastal areas. Thanks Jane and Tim- it is certainly a great base for a walking holiday- glad you enjoyed it.